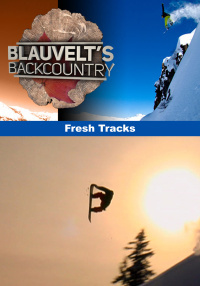 Early riding with Jake Blauvelt in British Columbia and the Pacific Northwest. Follow Jake as he finds his snowboard groove after the long summer break. British Columbia backcountry lodge trip with Jake Blauvelt and Nicolas Mueller. Jake Blauvelt, Mason Aguirre, Matt Ladley, Terje Haakonsen and Gjermund Braaten and others take part in a progressive park shoot on one of Norway's glaciers. Early season riding with Jake Blauvelt in British Columbia and the Pacific Northwest. Jake starts off the season signing with a new board sponsor Ride Snowboards where the film crew accompanies him on his trip to the factory to discuss building a new board. Follow Jake as he finds his snowboard groove after the long summer break.